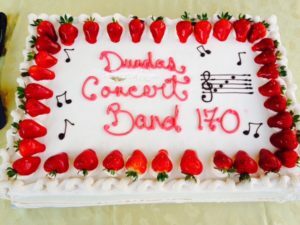 The Dundas Concert Band is a non-profit community concert band based in Dundas, Ontario, Canada. The band has a very long history and is currently comprised of approximately 40 volunteer musicians. We perform more than 15 times a year at a wide variety of venues both public and private. View our list of up-coming concerts.